You are here: Home / Chiropractic Care / Can Chiropractic Care Help With Carpal Tunnel Syndrome? A person with carpal tunnel syndrome (CTS) could experience a weakness, numbness as well as tingling in their hand. This is caused because of pressure on the median nerve in their wrist. This nerve goes from a person’s forearm to the small space in their wrist known as carpal tunnel. New research has shown that the pain a person experiences from CTS may be caused by another area of the body. It can result from misalignment of muscles in the neck, bones as well as ligaments. 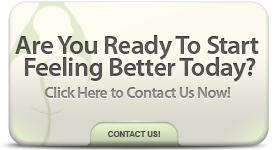 Best Chiropractor in Orlando knows this research proves what chiropractors have believed for many years. This condition can start in the upper spine. Best Chiropractor in Orlando realizes that trying to identify the exact cause of CTS can be a challenge. Some research points toward repetitive motion. Other research shows it could be genetics. One person may have smaller carpal tunnel than others. It is also possible for a person to be misdiagnosed and have other health issues. At Fulmore Chiropractic, they will work with a person to identify the source of their CTS. Once this is determined, it will be easier to prevent the problem from reoccurring. This could involve everything from how to perform daily tasks to purchasing proper work chairs and more. Orlando Chiropractic Care is dedicated to teaching their patients natural methods for treating CTS. This can involve showing them how their body should be placed when doing certain types of activities. These methods are an effective way for people to learn how to avoid putting unnecessary pressure on their body’s median nerve. Orlando Chiropractic Care understands that treating CTS will involve dealing with problems of the elbow and wrist. It could require making an adjustment to a person’s upper spine. A person may have success with resting the arm experiencing CTS as well as applying cold to decrease inflammation and more. It may also be advised to use a brace or splint to immobilize the affected portion of the body. The goal of a chiropractor for patients who have CTS is to help them avoid surgeries that are expensive, invasive and have a chance of making things even worse. Research has proven that CTS can be the result of a misalignment of the spine. Once the spine is put in proper alignment, the pain felt in the joints can be significantly decreased or eliminated. It’s a situation in a person’s neck or back where there is nerve interference. Fulmore Chiropractic is able to offer this therapy. It involves the use of high or low sound energy. Each of the sounds used during this treatment is not able to be noticed by regular human hearing. This means during the procedure a person won’t be able to hear any of the sounds. This treatment involves using a device that is able to put forth focused sound waves. These waves are able to go deep into a person’s body tissue. These sound waves have successfully been able to alleviate pain, relax muscles as well as decrease inflammation in affected areas of the body and more.